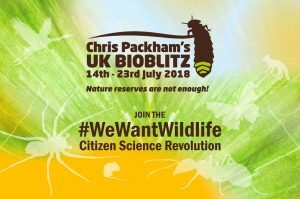 Chris Packham’s Bioblitz Campaign is coming to The Wildlife Trust’s Cardigan Bay Marine Wildlife Centre and Cae Lynden Nature Reserve Highlighting the State of Our Nation’s Wildlife. 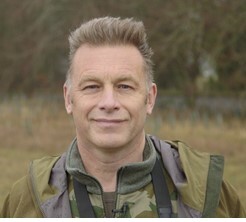 The Wildlife Trust of South and West Wales is delighted to say that TV presenter and naturalist Chris Packham will be visiting our Cardigan Bay Marine Wildlife Centre in New Quay and Cae Lynden in Brecknock. His visit will be part of the first independent audit of its kind in the UK involving Citizen Science. His goal is to highlight the extent to which the nation’s species are under threat. 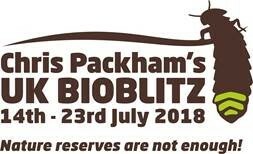 On Saturday 21st July he’ll becoming to Cardigan Bay Marine Wildlife Centre and Cae Lynden Nature Reserve, two of just 48 sites across the country that he’ll be stopping off at as part of his ‘UK Bioblitz – nature reserves are not enough!’ campaign. 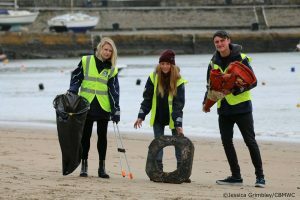 Our Living Seas Team at Cardigan Bay Marine Wildlife Centre are aiming to record as many marine and coastal species as possible between 7am and 11pm on the 21st and we need your help! There will be a programme of activities throughout the day that you join in; from rock pooling to dolphin watching, bird walks, insect surveys and even a bat walk on the beach. All the species we record will contribute towards Chris’s nationwide campaign. At Cae Lynden Nature Reserve our wildlife experts will be on site all day. Join in with the local wildlife surveys and record different species groups with other county recorders. It’s a great opportunity for you to see the work that we are doing in the local area and to see what our Wild Communities Project is all about. Chris will be starting off in the Scottish Highlands on July 14th and from there, over the course of 10 days, he’ll weave his way across the UK, taking in Northern Ireland, Wales and parts of England along the route. All forms of life will be investigated in this snapshot of the country’s wildlife: from flies to fungi, mammals to moths and birds to butterflies. At each site Chris and the UK Bioblitz team which includes 100’s of experts, young conservationists and film makers and people from all backgrounds and abilities will be helped by species specialists, alongside enthusiastic amateurs, to pinpoint the winners and losers in the battle for Britain’s countryside. The ultimate aim is to celebrate some conservation success stories, but also to flag up some of its failures. The campaign is also Crowd-funding with all monies raised being distributed back into grass roots front-line conservation projects they’ve visited throughout the campaign, as well as The National Autistic Society.